Recently, a new trend has come into the limelight in the UK. People are more and more interested in buying LED stair lights. Stairway lighting has always been popular though and people have traditionally used a regular bulb. As it was their only option, but not anymore as times have changed. Standard LED stair lights is a pretty great investment in terms of how it can increase the overall value of your property. One thing a person needs to keep in mind is the fact that he or she needs these lights in the first place? Recessed stair lighting is obviously a must in lighting of the stairs. And there is a specific reason behind that. Let us ask you, how many times have you actually tripped of your stairs? We are sure that you have at least tripped of it once in your life. If you have not, then chances are you might in the future. This is the reason why we recommend recessed LED stair lights. These lights will be fitted on a low level and on the face of stairs. 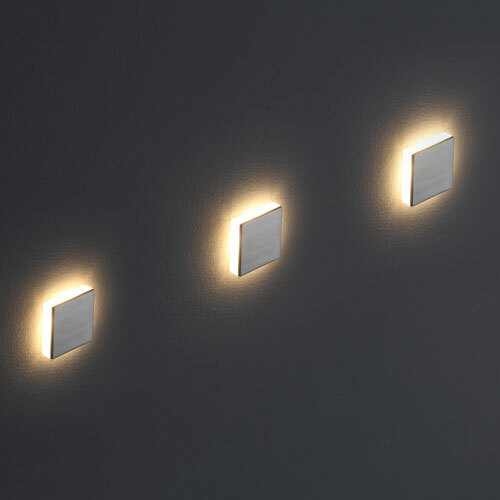 Or you have the option of getting these installed on the wall that goes along your staircase. The best part about LED stair lights is that they are energy efficient and save you excessive costs. These excessive costs might include replacement costs as in the case of a regular bulb. A regular bulb has only a lifespan of 2,000 hours which obviously means you will have to replace them. On the other side, LED stair lights have a time span of more than 20,000 hours! And this is a fact. All LEDs come with a much higher life span so chances are you might even won’t have to replace them. One does not need blasting lights over their stairways. One needs a gentle glow that looks elegant and does the job. This is exactly what this kind of recessed stair lighting will do. It produces a gentle glow that looks visually appealing to the eyes. And it will produce ample light so that you can safely use the stairs. These lights work their absolute best when they are used in multiple units. Buying a single unit is a waste of money as appropriate effects will not occur. Multiple units together will be able to produce an ambient environment. LED stair lights should always be installed by a qualified electrician if you want to achieve the best results. Recently, a new trend has come into the limelight in the UK. People are more and more interested in buying LED stair lights. Stairway lighting has always been popular though and people have traditionally used a regular bulb. As it was their only option, but not anymore as times have changed.